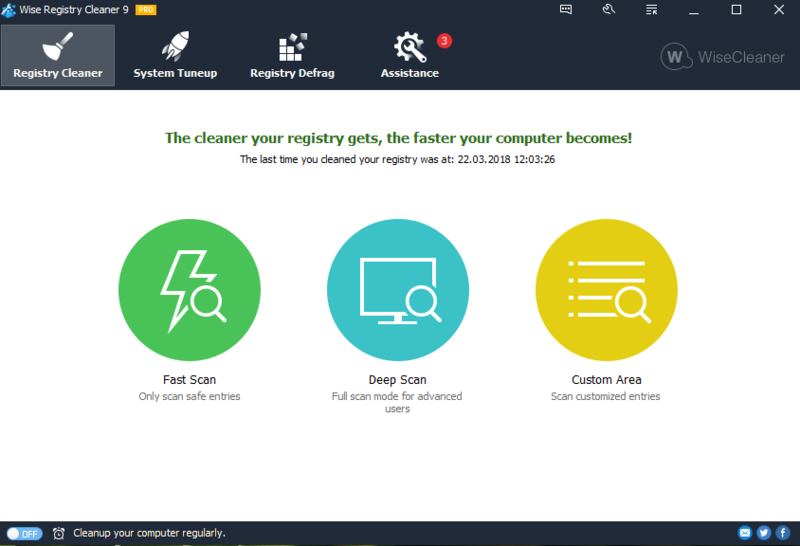 One of the safest Registry cleaning tools available in the market today. 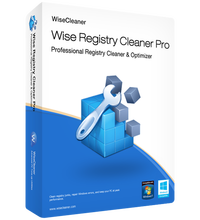 Wise Registry Cleaner Pro 9.5.4 was available as a giveaway on March 26, 2018! It is so easy to use, even the least experienced user can easily repair registry with this tool. It scans the Windows registry and finds incorrect or obsolete information in the registry. By fixing the obsolete information in Windows registry, your system will can work better and more quickly, after Wise Registry Cleaner analyzes your system for problems, you can individually view each of the problems found and call up a detailed description. If you wish, you can also have all problems corrected automatically, all changes to your system are monitored by Wise Registry Cleaner and can be undone with a few mouse clicks, so you can use Wise Registry Cleaner feel relieved. NB: Lifetime license with no upgrades. How would you improve Wise Registry Cleaner Pro 9.5.4? PC cleaning and speed up tool. 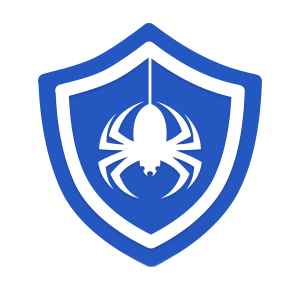 Defend Against all kinds of Malware and threats to keep your PC in safe. Download and update outdated Windows device drivers! Hide private files, photos, videos and other personal data from your PC. A duplicate file management tool that can help you find and delete duplicate files by comparing file name, size or contents and free up more space on your hard disks. Installed on Win7. Started and cleaned up. Rebooted and got the error: Failed load user profile when keyed in Win7 username and password. Thanks God that Win7 restore helped me. Installed on Win7. Started and cleaned up. Rebooted and got the error: Failed load user profile when keyed in Win7 username and password. Thanks God that Win7 restore helped me. If it ain't broke, why try to fix it? The 'cons' are clearly more than the 'pros' for this program - you have been warned! If it ain't broke, why try to fix it? The 'cons' are clearly more than the 'pros' for this program - you have been warned! 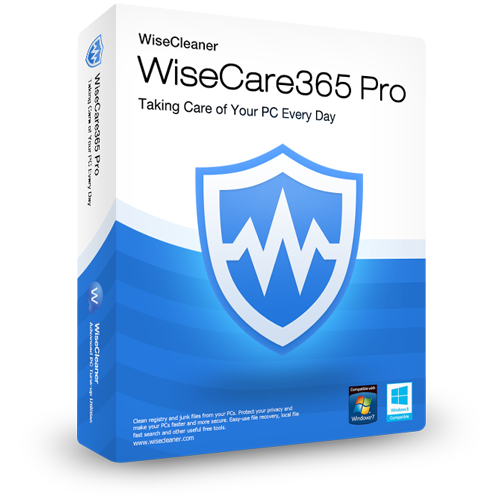 This installs Wise Registry Cleaner 9.5.4 but it is the FREE version not the PRO version. Dan, it is the Pro version that gets installed, not the free one. It comes pre-activated, so there is no product key to enter. If you are sure you only have the free version, then something went wrong with the install. If you contact Wise, then hopefully they will be able to help you. Dan, it is the Pro version that gets installed, not the free one. It comes pre-activated, so there is no product key to enter. If you are sure you only have the free version, then something went wrong with the install. If you contact Wise, then hopefully they will be able to help you. If you feel like you want to speed up your pc, if you're an expert, going into the registry editor might be fine. Otherwise, use uninstaller programs when you want to uninstall something, and use the built in Disk Cleanup utility. Registry cleaners are very harmful for inexperienced users. I have been a computer repair person and have hundreds of clients over the last 30 years. I have used Wise on many computers and have never once had any problems. I I wont try and tell someone else what to do , but I have no concern cleaning the reg. I also have confidence in another reg cleaner I will not mention the name here . I am selective in which cleaners I use as these are the only 2 I will use. Tere!Kuidas saaks registeerida?Iga kord,kui panen oma konto ja võtit,tuleb vastus vigane.Mida see tähendab? Computer Hope, which I rely on for many things and which is totally non-commercial, strongly advises against cleaning the registry unless you are an expert knowing exactly what you are doing (and perhaps even then). SysInternals has a small app called Process Monitor that logs everything Windows is doing behind the scenes when it's running. Fire it up & you'll see the thousands & thousands of times it accesses the registry in just minutes. Watching the lines flow by in the window, it's plain to see why someone would want that registry as optimized as possible. The registry's also bloated, over-complicated, in large parts undocumented, and when it comes to software developers, unregulated -- anyone can add whatever they want to the registry, pretty much wherever they want to add it, for whatever purpose they desire. There are even malware authors that put their scripts in the registry to avoid detection by security software because their malware is fileless. To make things more difficult, the registry is not a single file, but several files spread between the Windows & user folder -- there's even a [less known] part of the registry that's normally hidden in an app like Regedit, storing Canonical data etc., that can break things like Windows Update. Some people report a noticeable difference running Wise Registry Cleaner Pro [&/or similar] -- others do not, but in fairness the difference may have been there, but just not big enough for them to notice. Running Wise Registry Cleaner Pro *may* fix stuff. One example would be software [including drivers] that did not remove all its old registry keys/entries when updated/upgraded, and that stuff that's left behind *may* cause problems with the way that software, or a later version of that software works. That's not to say a fix is guaranteed. Running Wise Registry Cleaner Pro may break stuff. It's not politically correct -- apologies -- but some people are lazy &/or idiots, & some of them work in software development. They may use a registry key or entry, not following best [or even good] practice, that a registry cleaner may want to delete because it appears to be useless. Back up 1st to minimize risk. Finally, there are lots of Windows fans -- Microsoft's spent decades doing its best to create them, trying to boost its image during training, with tech-related docs, parties & events etc. There are also more than plenty of folks working with & on other OSes that will gladly tell you that much [if not most or all] of that PR is bunk. I'm not going to tell you either way -- I just want to point out something to maybe bear in mind when you hear or read something along the lines of Microsoft designed this or that so... I'll just add that if Microsoft was infallible, there would not have been Windows ME, Vista, or 8, nor would there be Windows' history of hot fixes. SysInternals has a small app called Process Monitor that logs everything Windows is doing behind the scenes when it's running. Fire it up & you'll see the thousands & thousands of times it accesses the registry in just minutes. Watching the lines flow by in the window, it's plain to see why someone would want that registry as optimized as possible. docs[.]microsoft[. ]com/en-us/sysinternals/downloads/ The registry's also bloated, over-complicated, in large parts undocumented, and when it comes to software developers, unregulated -- anyone can add whatever they want to the registry, pretty much wherever they want to add it, for whatever purpose they desire. There are even malware authors that put their scripts in the registry to avoid detection by security software because their malware is fileless. To make things more difficult, the registry is not a single file, but several files spread between the Windows & user folder -- there's even a [less known] part of the registry that's normally hidden in an app like Regedit, storing Canonical data etc., that can break things like Windows Update. And in essence those two factors are at the root of any registry cleaner debate, pros & cons. There's also a bit of over thinking IMHO... regardless whatever theories or opinions, the real question is will running Wise Registry Cleaner Pro help or not? And since the registry in most every installation of Windows is different, they only way to really answer that is to give it a try. Yes there is a risk, but there's a risk installing & running any app. If you have a current disk/partition image backup that you can easily restore, what you're risking is the time it takes you to restore that backup. [That's obviously ignoring the effects of malware, which can go beyond the system you're using, as there's never been any malware on GOTD in all the years it's been around.] Some people report a noticeable difference running Wise Registry Cleaner Pro [&/or similar] -- others do not, but in fairness the difference may have been there, but just not big enough for them to notice. Running Wise Registry Cleaner Pro *may* fix stuff. One example would be software [including drivers] that did not remove all its old registry keys/entries when updated/upgraded, and that stuff that's left behind *may* cause problems with the way that software, or a later version of that software works. That's not to say a fix is guaranteed. Running Wise Registry Cleaner Pro may break stuff. It's not politically correct -- apologies -- but some people are lazy &/or idiots, & some of them work in software development. They may use a registry key or entry, not following best [or even good] practice, that a registry cleaner may want to delete because it appears to be useless. Back up 1st to minimize risk. Finally, there are lots of Windows fans -- Microsoft's spent decades doing its best to create them, trying to boost its image during training, with tech-related docs, parties & events etc. There are also more than plenty of folks working with & on other OSes that will gladly tell you that much [if not most or all] of that PR is bunk. I'm not going to tell you either way -- I just want to point out something to maybe bear in mind when you hear or read something along the lines of Microsoft designed this or that so... I'll just add that if Microsoft was infallible, there would not have been Windows ME, Vista, or 8, nor would there be Windows' history of hot fixes. Easy install Win 10 x64 Pro. Serial baked in. One to add to collection of Wise utilities. Do have to note that GOTD says version 9.5.4 but is 9.5.5 fwiw. Do backup first of course. I've only used these things twice under Win 10. Didn't seem much help. Also stopped using CCleaner (looks like Win 10 deleted that twice on me during various Win upgrades). +Added 'Disable Super-Prefetch to reduce memory consumption on windows (8/10) bootup' option to System Tuneup. +Improved some system optimization items. Easy install Win 10 x64 Pro. Serial baked in. One to add to collection of Wise utilities. Do have to note that GOTD says version 9.5.4 but is 9.5.5 fwiw. Do backup first of course. I've only used these things twice under Win 10. Didn't seem much help. Also stopped using CCleaner (looks like Win 10 deleted that twice on me during various Win upgrades). From Wise site: What's new in version 9.5.5 Update: March 14, 2018 +Added 'Disable Super-Prefetch to reduce memory consumption on windows (8/10) bootup' option to System Tuneup. +Improved some system optimization items. +Minor GUI improvements. +Updated various translations. Have you read comments 2 and 9? sludgehound, Have you read comments 2 and 9? I had valid registry entries removed after a registry cleaner was used and made some of my valid software unregistered. Later I found out that the software that was made un-operative had one name in the software folder and few different names in the registry keys that it looked unassociated with the valid software and was removed by the registry cleaner. Some software just leave empty keys or keys with different names that may confuse the cleaning software. I had valid registry entries removed after a registry cleaner was used and made some of my valid software unregistered. Later I found out that the software that was made un-operative had one name in the software folder and few different names in the registry keys that it looked unassociated with the valid software and was removed by the registry cleaner. Some software just leave empty keys or keys with different names that may confuse the cleaning software. Unable to install. "Program wise registry cleaner stopped working." After that dialog about successful registration opens. Tadi, Following the comments, be grateful. In regard to today's "Wise Registry Cleaner Pro 9.5.4" giveaway there is, sadly, no such thing as 'Pro' when it comes to a so-called registry cleaner. That's because all such software is. . . amateur. The software does not, because it cannot, take into account any and every variable in any and every computer system to which it is attached. And because it is amateurish rather than professional, its blunders range from the merely irritating to the downright catastrophic. As such, therefore, a registry cleaner is never to be courted on its promised potential to do good, but its actual potential to do harm. Time and time again, over the years I've been on here, I've said that taking a registry cleaner to your computer is like taking a lighted candle into a shedfull of dynamite. Yet in some ways, it's even worse than that, because at least if you drop the candle and set fire to the shed, the explosion will likely be immediate . . . whereas with a registry cleaner, the destruction may not occur until days or even weeks later. I know this from bitter experience of contending with friends' and family's bricked PCs. And so, I've no doubt, do many others here, all of us at one time or another asked to sift through the debris and pick up the pieces of a perfectly good computer wrecked because its user experienced a sudden rush of omnipotence and blithely clicked a button which would Fix Everything. The vogue for 'registry cleaners', like the vogue for snake oil, was of a time and a place. The time was years ago, the place was Windows systems far less robust than they are now. Even then, the one-click-fixes-all solution was no solution at all but an attempt by software developers both reputable and much less so to cash in on the fact that for too many computer users, the desire to believe themselves in complete control of a technology they otherwise couldn't understand would overwhelm their commonsense. Gosh: look at me! I can make my computer go faster even though I don't know the first thing about computing . . . I, personally, have never known a 'registry cleaner' achieve anything positive. I, personally, have known a 'registry cleaner' achieve everything negative -- and repeatedly so. This developer trades under the name of Wise, and that's fair enough. But there's nothing -- absolutely nothing -- wise in any computer user trusting her or his PC to this kind of software. Thanks, GOTD, and thanks, Wise. . . but definitely: no thanks. In regard to today's "Wise Registry Cleaner Pro 9.5.4" giveaway there is, sadly, no such thing as <i>'Pro'</i> when it comes to a so-called registry cleaner. That's because all such software is. . . amateur. The software does not, because it cannot, take into account any and every variable in any and every computer system to which it is attached. And because it is amateurish rather than professional, its blunders range from the merely irritating to the downright catastrophic. As such, therefore, a registry cleaner is never to be courted on its <i>promised</i> potential to do good, but its <i>actual</i> potential to do harm. Time and time again, over the years I've been on here, I've said that taking a registry cleaner to your computer is like taking a lighted candle into a shedfull of dynamite. Yet in some ways, it's even worse than that, because at least if you drop the candle and set fire to the shed, the explosion will likely be immediate . . . whereas with a registry cleaner, the destruction may not occur until days or even weeks later. I know this from bitter experience of contending with friends' and family's bricked PCs. And so, I've no doubt, do many others here, all of us at one time or another asked to sift through the debris and pick up the pieces of a perfectly good computer wrecked because its user experienced a sudden rush of omnipotence and blithely clicked a button which would Fix Everything. The vogue for 'registry cleaners', like the vogue for snake oil, was of a time and a place. The time was years ago, the place was Windows systems far less robust than they are now. Even then, the <i>one-click-fixes-all</i> solution was no solution at all but an attempt by software developers both reputable and much less so to cash in on the fact that for too many computer users, the desire to believe themselves in complete control of a technology they otherwise couldn't understand would overwhelm their commonsense. <i>Gosh: look at me! I can make my computer go faster even though I don't know the first thing about computing . . .</i> I, personally, have never known a 'registry cleaner' achieve anything positive. I, personally, have known a 'registry cleaner' achieve everything negative -- and repeatedly so. This developer trades under the name of Wise, and that's fair enough. But there's nothing -- absolutely nothing -- wise in any computer user trusting her or his PC to this kind of software. Thanks, GOTD, and thanks, Wise. . . but definitely: no thanks. Trying to change the language expands the list to the top, not to the bottom, which may require to place the window at the bottom area of the Desktop in order to see the languages at the beginning of the list which is a issue but alternatively you can change it in the settings under General -> Default Language: -> Choice. 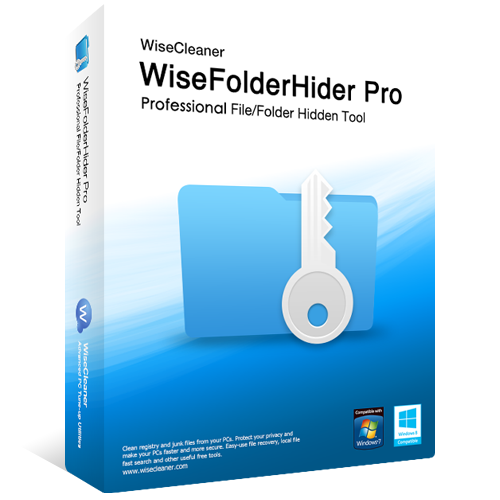 In order to make it Pro, you need to replace the free WiseRegCleaner.exe with the one from this giveaway but once you installed the giveaway today, you technically already have the portable version of it, you only need to create a empty config.ini file in the root folder of the installation and then could *.zip it up as is for later use after reformat or usage on a different computer. This new feature is ideal for computers that are used by more than one person, such as home computers which are shared by a family and public computers in public places. People who have administrative rights can easily scan and clean all users' registry at once. You do not need to login under each individual account to scan & fix registry issues." As stated on their homepage. In my small test, i used the Fast Scan option, the search went relatively fast, hence the name and it didn't give bogus results nor exaggerated much to clean, except for User MRU Lists and MUI Cache, which is a normal thing. The type of results were pretty much what i expected in terms of how i use the computer and when i last cleaned it. The results are split in categories, like ActiveX/COM or File Types etc. and you can click every single one of them to check what exactly has been found. That allows you to manually decide for every entry how to handle it. You can also instantly clean certain categories separately from each other. A good advice is, don't delete empty registry keys, even if you think they have no value, they do have, let them be, that option is also disabled by default, keep it at that. Other than that, i would highly suggest you to activate the backup before cleaning option in the settings, in case something goes wrong, you can restore the uncleaned state. I would also suggest to not use the System TuneUp tools because most of the time, if you change something system related, you forget about which program did the changes and if you uninstall it, you may not be able to revert it back easily because you don't know that changes were made at all and where to find the option in question in your system to undo these. If your PC runs fine (aside from speed itself) and you have no errors, don't use TuneUp tools or something similar that hints improvements in this regard, just take care of your installation and don't fill it with garbage, use a Virtual Machine (VM) or Sandbox to avoid cluttering your PC and thus, making it slower over time. Only install what you really need, let a second system take care of the rest you might use in Dual Boot. Always be careful when using registry cleaners, you might only be one click away from a real disaster, like a unbootable system. Trying to change the language expands the list to the top, not to the bottom, which may require to place the window at the bottom area of the Desktop in order to see the languages at the beginning of the list which is a issue but alternatively you can change it in the settings under General -> Default Language: -> Choice. Portable version can be found here: http://downloads.wisecleaner.com/soft/WRCFree.zip In order to make it Pro, you need to replace the free WiseRegCleaner.exe with the one from this giveaway but once you installed the giveaway today, you technically already have the portable version of it, you only need to create a empty config.ini file in the root folder of the installation and then could *.zip it up as is for later use after reformat or usage on a different computer. The main difference between FREE and PRO is: "<b>Multi-user Cleaning</b> <i>This new feature is ideal for computers that are used by more than one person, such as home computers which are shared by a family and public computers in public places. People who have administrative rights can easily scan and clean all users' registry at once. You do not need to login under each individual account to scan & fix registry issues. "</i> As stated on their homepage. In my small test, i used the Fast Scan option, the search went relatively fast, hence the name and it didn't give bogus results nor exaggerated much to clean, except for User MRU Lists and MUI Cache, which is a normal thing. The type of results were pretty much what i expected in terms of how i use the computer and when i last cleaned it. The results are split in categories, like ActiveX/COM or File Types etc. and you can click every single one of them to check what exactly has been found. That allows you to manually decide for every entry how to handle it. You can also instantly clean certain categories separately from each other. A good advice is, don't delete empty registry keys, even if you think they have no value, they do have, let them be, that option is also disabled by default, keep it at that. Other than that, i would highly suggest you to activate the backup before cleaning option in the settings, in case something goes wrong, you can restore the uncleaned state. I would also suggest to not use the System TuneUp tools because most of the time, if you change something system related, you forget about which program did the changes and if you uninstall it, you may not be able to revert it back easily because you don't know that changes were made at all and where to find the option in question in your system to undo these. If your PC runs fine (aside from speed itself) and you have no errors, don't use TuneUp tools or something similar that hints improvements in this regard, just take care of your installation and don't fill it with garbage, use a Virtual Machine (VM) or Sandbox to avoid cluttering your PC and thus, making it slower over time. Only install what you really need, let a second system take care of the rest you might use in Dual Boot. Always be careful when using registry cleaners, you might only be one click away from a real disaster, like a unbootable system. "i would highly suggest you to activate the backup before cleaning option in the settings"
Might also consider backing up the registry with another tool like this -- if Windows won't boot, you can't run Wise Registry Cleaner Pro, so I'm assuming their backup would not be usable. In theory a Restore Point would work, but I've had that fail. Registry cleaning may help performance only in very specific situations, when lots of unused garbage accumulates in the registry. This inflates the size of the registry and may slow access times or boot time. However, just cleaning the registry does not help performance, since it also needs to be compacted. Unfortunately, most registry cleaners don't do compacting, and it is because of this that many call them useless. Other special products are required for that, for example Eusing Free Registry Defrag. Before running a cleaning operation, it is counseled to take an image backup of the system disk and have available a restoration boot CD or USB, in case the computer does not boot any more. Create also a System Restore Point, since restoring it is much easier than restoring a disk image. Registry cleaning may help performance only in very specific situations, when lots of unused garbage accumulates in the registry. This inflates the size of the registry and may slow access times or boot time. However, just cleaning the registry does not help performance, since it also needs to be compacted. Unfortunately, most registry cleaners don't do compacting, and it is because of this that many call them useless. Other special products are required for that, for example Eusing Free Registry Defrag. Before running a cleaning operation, it is counseled to take an image backup of the system disk and have available a restoration boot CD or USB, in case the computer does not boot any more. Create also a System Restore Point, since restoring it is much easier than restoring a disk image. "... take an image backup of the system disk and have available a restoration boot CD or USB, in case the computer does not boot any more. Create also a System Restore Point, since restoring it is much easier than restoring a disk image." Good advice, since I've had restore points fail several times to restore the system. When disk space allows, I also like to install a 2nd copy of Windows to use rather than a bootable USB stick or optical disc. I don't add much software -- just stuff like backup software, so it doesn't take up too much space & is easier to maintain. It makes restoring a backup quicker -- it takes me roughly 20 minutes from a backup archive stored on a internal drive -- plus getting into the bios settings to have it boot from USB or optical disc can be a bit more of a PITA on newer systems [you may have to shift click the off button on win10's login screen, or wait till the device fails to boot multiple times & Windows will bring up the boot menus, as pressing a hot key during boot up is not always implemented]. Win10 doesn't take long to install, & works OK un-activated. Harry, <i>"... take an image backup of the system disk and have available a restoration boot CD or USB, in case the computer does not boot any more. Create also a System Restore Point, since restoring it is much easier than restoring a disk image. "</i> Good advice, since I've had restore points fail several times to restore the system. When disk space allows, I also like to install a 2nd copy of Windows to use rather than a bootable USB stick or optical disc. I don't add much software -- just stuff like backup software, so it doesn't take up too much space & is easier to maintain. It makes restoring a backup quicker -- it takes me roughly 20 minutes from a backup archive stored on a internal drive -- plus getting into the bios settings to have it boot from USB or optical disc can be a bit more of a PITA on newer systems [you may have to shift click the off button on win10's login screen, or wait till the device fails to boot multiple times & Windows will bring up the boot menus, as pressing a hot key during boot up is not always implemented]. Win10 doesn't take long to install, & works OK un-activated. I know there will be plenty of people who will sing the praises of this but I urge you NOT to use it. Registry cleaners by their very nature have way too much chance to totally brick your system if you don't know what you're doing. They are NOT needed either due to the way Windows works. "Invalid" entries do not slow your system down anymore than "valid" entries do. (a common misconception that the purveyors of crapware like this keep alive for the sole purpose of taking your money.) Windows looks for the strings it needs and ignores what it doesn't need. ANY "savings" in time is measured in milliseconds and if you've got enough invalid entries to really make a difference then I suggest you would save more time just doing a reinstall. Much safer too. Alan, Cool Story, but what you and most everyone who says that fails to mention is Windows might ignore those invalid entries, BUT the software you install on Windows that requires registry entries DOES NOT ignore those invalid entries and they will slow down your system depending on what you are running at times. Alan, You are correct - the notion that a registry gets clogged like a drain and slows down the PC and a 'cleaner' like Draino will make things move faster is simply not true. This topic has been discussed for years online and and on PC radio shows, and the consensus is that reg cleaners are unnecessary at best and harmful at worst. The only 'cleaner' I use is Revo Uninstaller. When it uninstalls software, it gives the user the option of removing registry keys associated with the removed software. Alan, You are correct - the notion that a registry gets clogged like a drain and slows down the PC and a 'cleaner' like Draino will make things move faster is simply not true. This topic has been discussed for years online and and on PC radio shows, and the consensus is that reg cleaners are unnecessary at best and harmful at worst. The only 'cleaner' I use is Revo Uninstaller. When it uninstalls software, it gives the user the option of removing registry keys associated with the removed software. Windows' registry was Microsoft's solution to the problem of early versions of Windows being terribly difficult when it came to adding hard &/or software. And it replaced one problem with another. However it's supposed to work, & however Microsoft says it works, should both be taken with a bit of salt. That's based on all the fixes and vulnerabilities involving the registry published by individuals, 3rd party companies, & Microsoft itself in the years since the registry's been implemented. 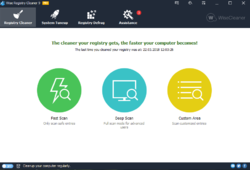 Registry cleaners are not perfect -- no software is -- but whether something like Wise Registry Cleaner Pro helps or not can only be answered by trying it... if you've got a current image backup that you can easily restore, the most you're risking is probably half an hour to an hour of your time. When they've been on GOTD in the past, I've seen far too many reports of registry cleaners helping to dismiss this entire category of software as snake oil. "Registry cleaners by their very nature have way too much chance to totally brick your system if you don't know what you're doing." There are far too many brands for me to say that no registry cleaner will brick Windows, but more well known companies, like Wise, wouldn't bother selling something that meant scores of customers demanding their money back. Between declining sales once word gets out, and the time employees spent dealing with complaints, it just wouldn't be profitable. Yes, there's a chance that using any registry cleaner, like simply editing the registry can cause a major problem, but it's by far the exception rather than the rule if user reports are to be believed. In fact my complaint with registry cleaners as a whole, comparing what they'll remove with what I'd remove, is that they're designed to be a bit too safe, not getting rid of keys &/or values if there's any known risk at all. "I suggest you would save more time just doing a reinstall. Much safer too." Support likes it when customers do a reinstall, because it sets a baseline, eliminating anything the customer might have done to cause a problem. And after all, they're not the one who has to do all the work reinstalling software etc. Microsoft used to advise reinstalling Windows every so often because garbage collection in Windows is largely non-existent -- the day after Update Tuesday your copy of Windows has grown, usually by GB depending on version, and that's after running Disk Cleanup, which most people don't -- so it gets harder with age to keep it running well. Now resetting or reinstalling Windows seems their mantra, one, perhaps in hopes it'll get someone to use their store, two, because so many refuse to backup, three, because they've gotten rid of 1/2 their Windows developers, and quality assurance isn't what it used to be. I'm a PC tech with over 25 years of experience. I've run registry cleaners, from various vendors, on my and my clients' computers for years and never had a problem. The only time I screwed up someone's PC (mine) is when I was inexperienced, tried to manually edit the registry and had to do a complete reinstall of Windows. What registry cleaners do is look for orphan registry entries that are no longer needed. I've never had Wise Registry Cleaner produce false positives, i.e. valid registry keys. If it did they would soon pull the software from the market as consumers would be howling that it screwed up their systems. shegeek72, Wise Registry Cleaner does have minor issues with false positives. It won't cause any critical issues, but it's still better not to remove the valid registry keys and the only way to do this is to manually check the results and uncheck any valid registry keys. As a technician, I would certainly hope you would do this. Hopefully you also know that cleaning the registry is usually pointless. I'm a technician too and I sometimes use a registry cleaner, if after diagnosing and cleaning a PC, it's still running slowly, or it has some weird issues that I can't find the cause of. But, not even once, has a customer's computer run faster after cleaning the registry. shegeek72, Wise Registry Cleaner does have minor issues with false positives. It won't cause any critical issues, but it's still better not to remove the valid registry keys and the only way to do this is to manually check the results and uncheck any valid registry keys. As a technician, I would certainly hope you would do this. Hopefully you also know that cleaning the registry is usually pointless. I'm a technician too and I sometimes use a registry cleaner, if after diagnosing and cleaning a PC, it's still running slowly, or it has some weird issues that I can't find the cause of. But, not even once, has a customer's computer run faster after cleaning the registry. shegeek72, There is no empirical objective evidence anywhere that demonstrates that registry cleaners do anything except separate gullible people from their money. That's what they were designed to do. The fact that you have used them for years without ill effect doesn't mean that there was a positive effect. If you think registry cleaners are useful, it just means that you don't understand how the registry works. shegeek72, You yourself said it. You are a PC tech who knows what to look for when "infiltrating" a persons computer. Not everyone does unfortunately. Yes a registry cleaner is a good thing, in the right hands, but I have seen registry cleaners go and brick computers because they did pull the wrong registry entries. And those are still on the market. Jim,WRONG... you people whom are talking badly about the software are people whom does not know what to determine what is good or bad. I've been using many Registry Cleaners since the 90's and never ever had an issue except when I messed up on my own... Wise Registry Cleaner is GREAT... you just have to know what you are doing... if it failed then you are the one whom doesn't have knowledge about the registry! Patricia, And yet you offer no evidence. There is none. If you disagree, give us a link with empirical, objective test data that demonstrates that registry cleaners are in any way efficacious. Jim, empirical evidence? Perhaps not. However, my PC ran faster after a registry clean. My thinking is a clean computer is a better computer. Unless one uses uninstaller software (like Revo Uninstaller) most software leaves traces of itself in the registry. These are useless entries and one might as well delete them. shegeek72, there is no need to delete these useless entries. At least 99.9% of the time they won't be causing any problems or slowing down a computer. In which case, it is pointless to delete them. As long as a registry cleaner does not delete any valid registry keys, it is safe to clean the registry. But, 99% of registry cleaners do want remove valid registry keys. I know this, because I've used pretty much every registry cleaner ever written. shegeek72, there is no need to delete these useless entries. At least 99.9% of the time they won't be causing any problems or slowing down a computer. In which case, it is pointless to delete them. As long as a registry cleaner does not delete any valid registry keys, it is safe to clean the registry. But, 99% of registry cleaners do want remove valid registry keys. I know this, because I've used pretty much every registry cleaner ever written. If you want to destroy your computer use a system registry cleaner. There is no way any registry cleaner will work unless it's a totally brand new just out of the box vanilla computer the minute you add a program to it, then the registry cleaner will muck it up. The cleaners cannot compensate for what programs an individual will use on their computer. My golden rule on registry cleaner is they don't work nor do they speed up a computer as claimed. ABMM, what good is a registry backup or restore point when the problem can not be detected until next time you restart your computer, just to find out it is impossible to boot? How you will restore the back up when not even safe mode works for re-booting? It happened to me many times after registry cleaning, I had the restore point made before, but it is impossible to restore the registry hives unless you already have booted into the OS. ABMM, what good is a registry backup or restore point when the problem can not be detected until next time you restart your computer, just to find out it is impossible to boot? How you will restore the back up when not even safe mode works for re-booting? It happened to me many times after registry cleaning, I had the restore point made before, but it is impossible to restore the registry hives unless you already have booted into the OS. ABMM, Wise Registry Cleaner itself creates a recovery point. Before using today's giveaway, there a few things you should consider, as it should be used with care. Wise Registry Cleaner, detects some valid registry keys as being bad and will want to delete them. As you can understand, deleting valid registry keys is not a good idea. 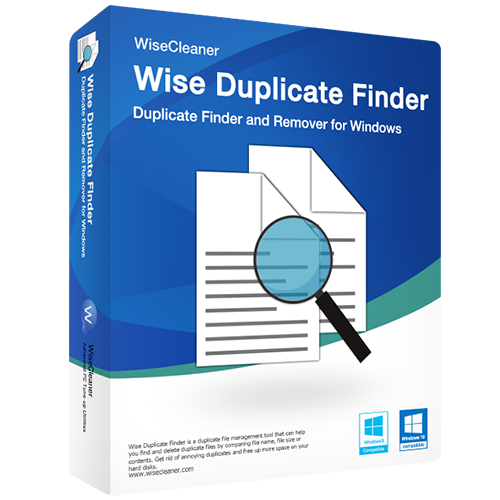 Wise Registry Cleaner, won't delete anything critical, but still could cause minor issues. At least 99.9% of the time, using a registry cleaner will not make your computer run faster or fix an issues you have. Microsoft actually designed the registry in such a way that excess registry keys won't slow your computer down. In many years of using registry cleaners, on many different computers, I have only once seen a noticeable speedup after cleaning the registry. When I run a registry cleaner on a computer that is running much slower than it should. The end result is always (except for the one time), that the computer is just as slow after cleaning and defragging the registry as it was before. The vast majority of computer problems can not be fixed by using a registry cleaner. All those hundreds of errors found, usually do no matter and for the most past, there is no need to ever delete them. No matter, how many hundreds or even thousands of errors found. So before using the registry cleaner in today's giveaway, bear in mind, that it is highly unlikely it will make your computer run faster or fix any problems you have and there is a small chance it will actually cause problems. More experienced users, will be able to manually check the errors found and there is the option when you right click on a registry key to add it to an ignore list, so it won't be detected again. But, unless you have the time and knowledge to do this, it really is best to not use the registry cleaner. The risk of something needed is deleted, is greater than the chance that the registry cleaner, will speed up your computer or fix any issues you have. 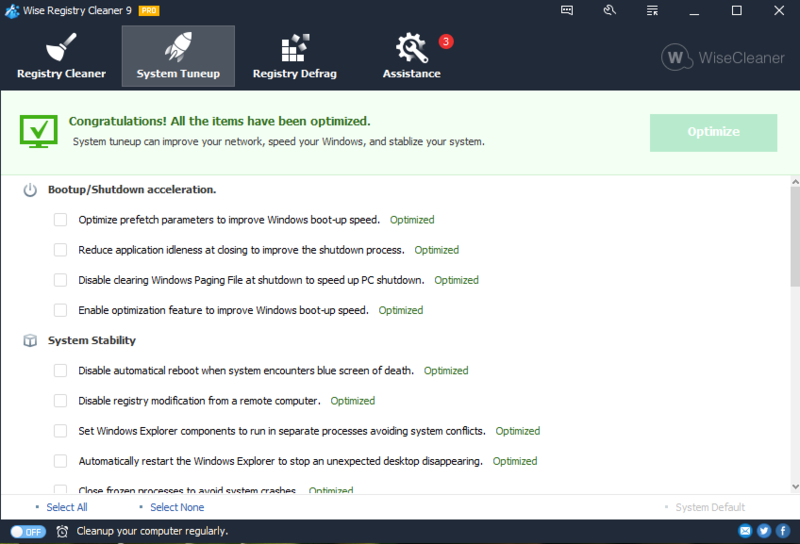 On the other hand, using included System Tuneup module, may make your computer run faster and is safe to use. If you do want to fix problems with your computer. Windows Repair from Tweaking.com, is a good place to start. It can fix a lot of problems, is safe to use and there is a free version. Before using today's giveaway, there a few things you should consider, as it should be used with care. Wise Registry Cleaner, detects some valid registry keys as being bad and will want to delete them. As you can understand, deleting valid registry keys is not a good idea. 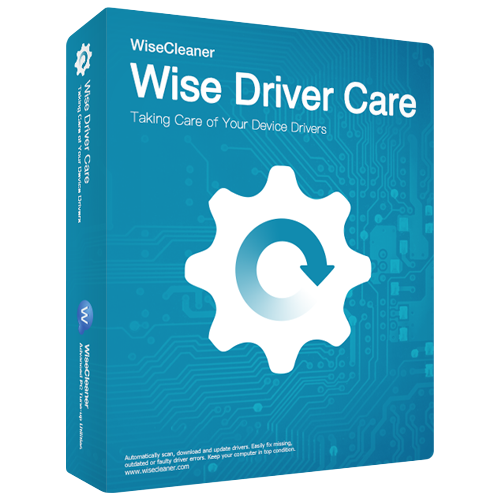 Wise Registry Cleaner, won't delete anything critical, but still could cause minor issues. At least 99.9% of the time, using a registry cleaner will not make your computer run faster or fix an issues you have. Microsoft actually designed the registry in such a way that excess registry keys won't slow your computer down. 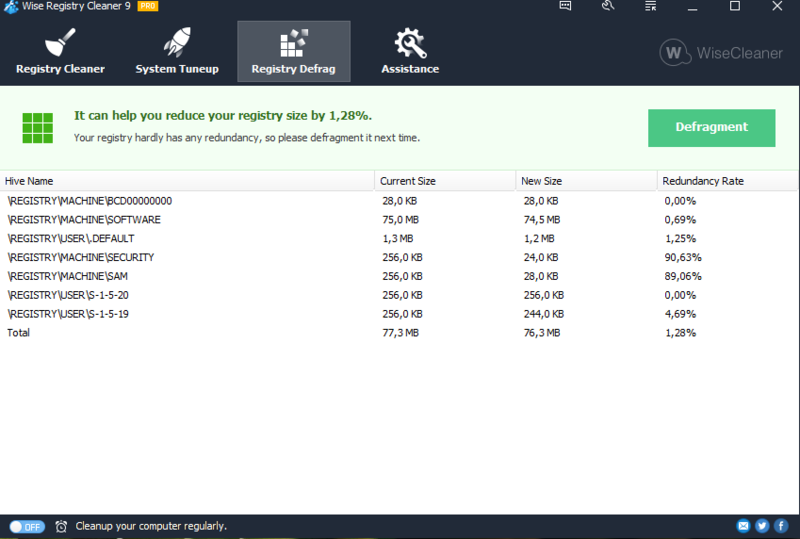 In many years of using registry cleaners, on many different computers, I have only once seen a noticeable speedup after cleaning the registry. When I run a registry cleaner on a computer that is running much slower than it should. The end result is always (except for the one time), that the computer is just as slow after cleaning and defragging the registry as it was before. The vast majority of computer problems can not be fixed by using a registry cleaner. All those hundreds of errors found, usually do no matter and for the most past, there is no need to ever delete them. No matter, how many hundreds or even thousands of errors found. So before using the registry cleaner in today's giveaway, bear in mind, that it is highly unlikely it will make your computer run faster or fix any problems you have and there is a small chance it will actually cause problems. More experienced users, will be able to manually check the errors found and there is the option when you right click on a registry key to add it to an ignore list, so it won't be detected again. But, unless you have the time and knowledge to do this, it really is best to not use the registry cleaner. The risk of something needed is deleted, is greater than the chance that the registry cleaner, will speed up your computer or fix any issues you have. 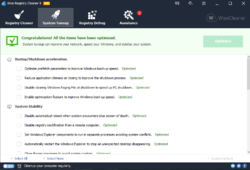 On the other hand, using included System Tuneup module, may make your computer run faster and is safe to use. If you do want to fix problems with your computer. Windows Repair from Tweaking.com, is a good place to start. It can fix a lot of problems, is safe to use and there is a free version. Roger, Windows Repair from Tweaking.com, I used on the other Windows 8.1 PC. with a small mistake. Everything has remained the same, nothing has changed. Hadrianus, it won't fix all problems, but it will fix a lot of issues with Windows and shouldn't cause any problems.